The globe knot kit consists of 2 labeled PVC tubes with 3 and 4 columns of pins. Four at the top and four at the bottom. The pins are these clever little screw type thingies (yes, I'm sure there's a technical term somewhere that precisely describes the item in question, I just don't know what that is) that retract into the tube when you don't need them. A wee little Allen key (included) is used to extract or hide the pins. Extra pins (and an extra Allen key) are included in case you lose one. Blind cord (yes, the kind of cord used to pull up and down window blinds, firmly braided round nylon/polyester 1.5mm??) in an assortment of colours is included. A self-threading needle completes the kit and the whole is packed into what looks like a repurposed multiple CD case. The front matter of the book includes a number of colour plates with crowds of tied knots and accompanying maps that indicate which knot is which. There is also a step-by-step illustrated section that shows how to use the tools. The appendix includes a bibliography, some cord usage and core sizing formulas, material sources, and a discussion of Ashley's globe knots. The instructions for each knot is contained on one page. There is a pin diagram (which pins are used for this knot), a knot schematic, a facet count, a shape diagram, and a tying formula based on pin numbers with interim overs and unders. The crowd of knots on the cover is nice and makes for a great cover, but I would have much preferred more orderly knot arrangements (with their descriptions). This is a minor point. What I would have vastly preferred is a picture of the knot in question on it's instruction page. 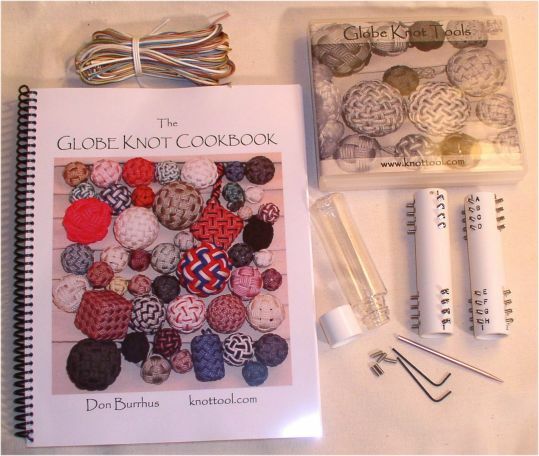 I have not gone through the book to the extent that I would be able to say whether or not each set of instructions has a photo of the completed knot in the book. Something the Japanese books I buy like to do (so that they can have colour plates at the front of the book and cheaper paper with monochrome text and diagrams in the rest of the book) is to label an object in the colour plate section with the page number/range of their instructions and in the instruction section. Conversely, they note on the instruction pages where to find the appropriate colour plate page to supplement the grey-scale illustrations). Speaking of tweaks I'd like to see, I'd love for a recommended length of cord and core size (the length of cord and core size for the examples he made would do nicely) just as a reference point for the impatient who don't want to work through the formulas while fooling around. Now, you take any object and put a hole in it somewhere and you have a bead, especially if it's round. 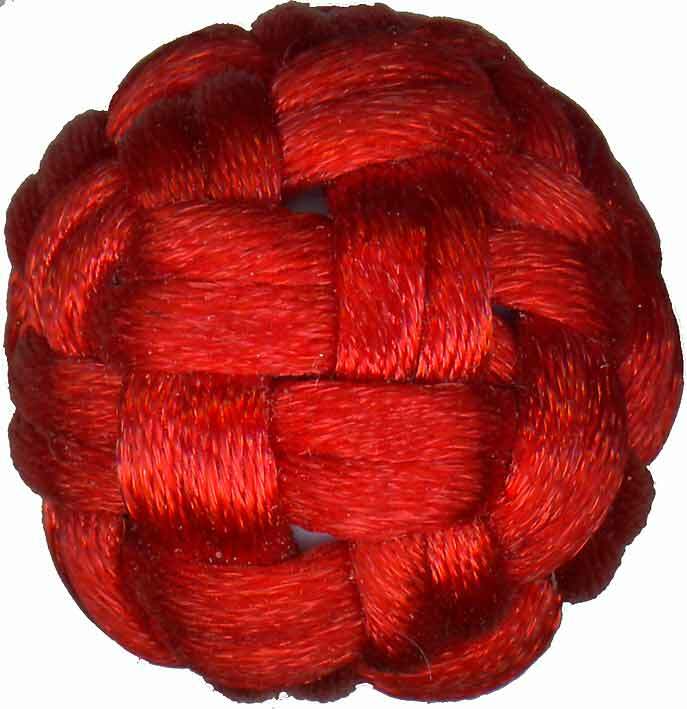 So, I looked at these round knots and thought, put a bead in as core, and the whole thing is a bead! My first globe knot from the book was one of the step by step walk through knots from the front (so it's either the 28 or the 40 facet knot). I honestly can't tell from looking at it and at the moment have no patience for counting. As with all things beady, I showed my new bead to my bead group and a number of them were interested in learning, so I'll be teaching a bead knot to the group this weekend (Jan 18, 2009). I just need to pick one. I'm working my way through the book and trying to pick the one with minimal facets that looks nice. I've come up with a low cost alternative to the snazzy tool so that all in the group can have one. More on that later. The "gleeful jumping" has been happening in the UK, France, Canada, Italy, N. Ireland, Spain, Persian Gulf, Japan, Pakistan, Brazil, Norway, Belgium, Austrailia, Tasmania, The Netherlands, Germany, and all over the U.S. as well. Response has been excellent. The plastic bottles are hard to get in "just the right size". I have some that are smaller in stock now and will send one along to you in the mail. The cord is 1.0-1.8mm blind cord from R&W Rope Warehouse in New Bedford, Mass. There are way too many variables to tying a globe knot to construct a precalculated core size. For instance, if I make a globe knot of 4 bights from a 1.8mm cord and inject this pre-done calculation and come with a core size, not everyone in the world will have the same cord, nor the same kind of core. Someone may only have access to twisted nylon cord, or para cord to which none of these types of cords are sold below 2.0mm... Changing cord size will have a great affect in your calculations to produce a core size. Hey Don, the app is coming along. I am still working on it. Between work and the website having issues, I have not had time to get back to it. 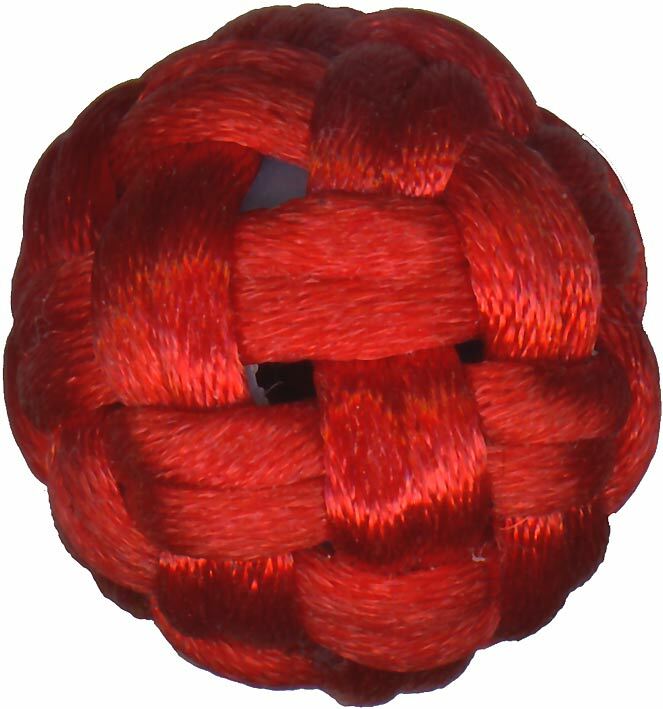 Hopefully on vacation in April I will be able to get some knotting done.